Public Interest Registry and Nonprofit Tech for Good, the .org and .ngo registry, today released the results of the third annual Global NGO Technology Report, an annual research project that analyzes how non-governmental organisations (NGOs) worldwide use web, email and mobile technology, online fundraising tools, and social media. In addition, new to the report this year are benchmarks around how NGOs implement data management and security software. With findings that stem from a survey of more than 5,300 NGO respondents from 164 countries across Africa, Asia, Australia & Oceania, Europe, North America and South America, the report offers comparisons of NGO tech usage across regions. 92 percent of NGOs have a website and of those, 87 percent are mobile-compatible. 68 percent of survey respondents noted that their organisation uses the .org domain, compared to 8 percent that use the .com domain. Facebook leads global use as the highest social media platform, with 93 percent of respondents having a dedicated page. Only 41 percent of global respondents use encryption technology to protect data and communications. Most NGOs in each region have a website, along with a mobile-compatible website. In every region besides North America, WhatsApp was the most popular messaging application to connect and communicate with donors, while Facebook was the most widely used social media channel by all regions. In every region besides North America and Australia & Oceana, NGOs shared that Google Android is the preferred smartphone or tablet operating system. “It’s inspiring to see that such a high percentage of NGOs have mobile-compatible websites, and that 68 percent of respondents indicated that they entrust their web presence to a .org domain. 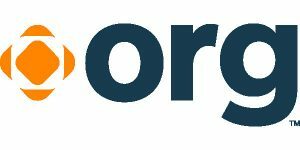 We strive to make .org the go-to online home for missions and causes around the world, and this data illustrates that NGOs look to the .org domain as a stable online platform for sharing their stories. The 2018 Global NGO Technology Report is available in Arabic, English, French, Portuguese and Spanish. You can download the full report here.